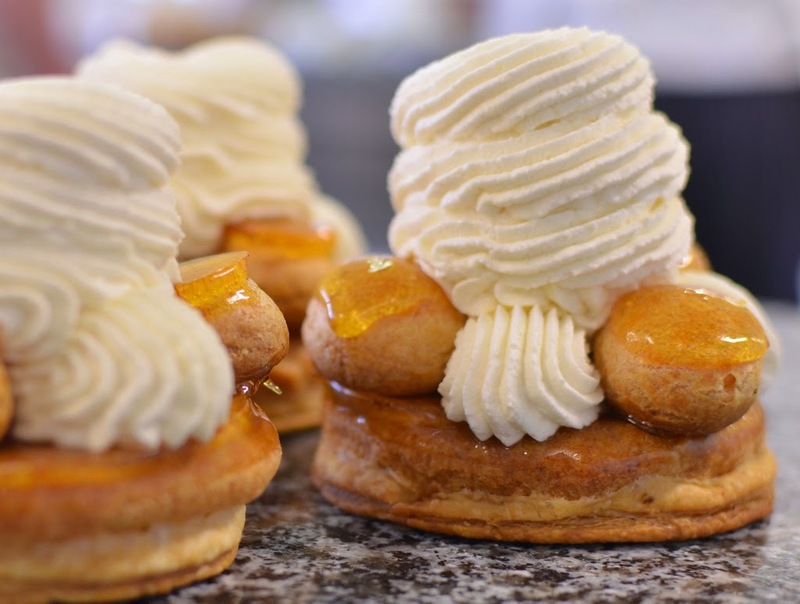 When the choux meets puff pastry, creme patissiere, whipped cream and caramel it just can't get wrong. 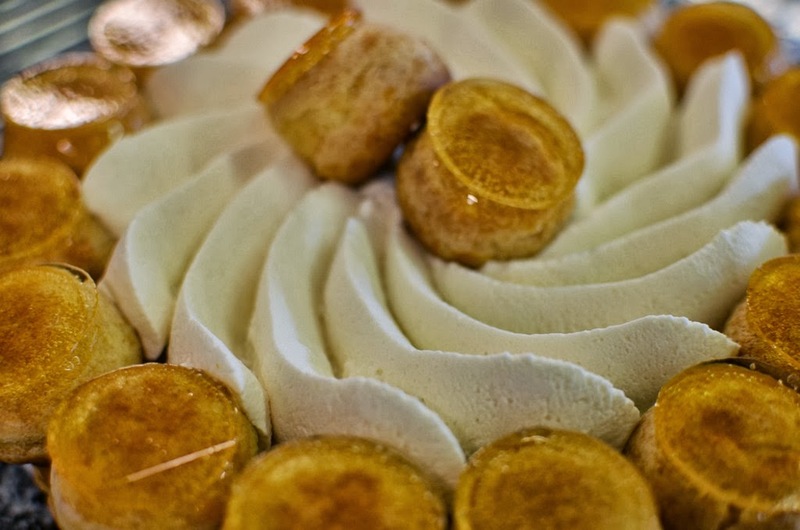 This pastry was created in 1840 by Chiboust (the guy who invented the... Chiboust cream) in his pastry shop at the fancy Saint Honoré Street in Paris). The recipe we learned is not very accurate as the original one uses a Chiboust cream. My guess is that the adapted version is indeed better as the chiboust cream seems to be quite heavy: Italian meringue + crème pâtissière. To be confirmed though. Note: for the caramel, puff pastry, choux dough, it's difficult to make less than these quantities. The raw puff pastry and cooked choux can be frozen though. Lay down a ring of choux dough around each circle (leaving an edge space of about 1 cm). With the same dough, pip about 22 little choux of 4 cm diameter and about 18 choux of 3 cm diameter (check out the piping technique in the choux recipe). Finalize with a whipped cream piping bag decoration. Preferably using the Saint Honore special tip. Decorate it with chocolate decors.